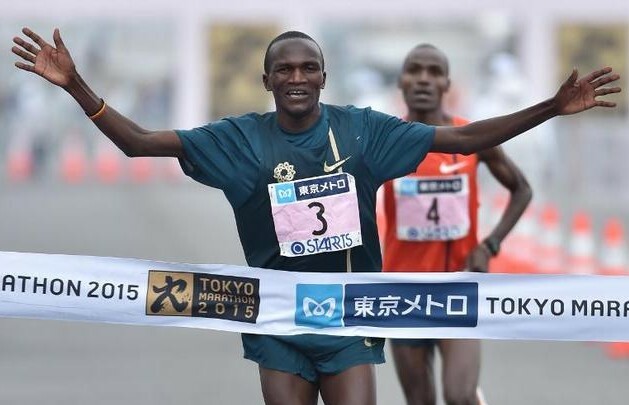 Tokyo Marathon 2015 — Ugandan hero Kiprotich, competing in honour of the memory of his baby daughter Elizabeth who passed away from a respiratory illness last month, put in a late burst to pip last year’s winner Dickson Chumba of Kenya to second place. 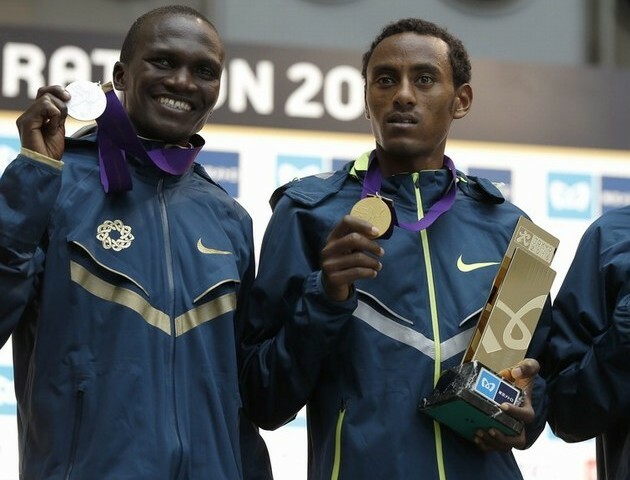 The London Olympic gold medallist and world title holder finished a step ahead of Chumba in a personal best of 2:06:33. Ethiopia’s Endeshaw Negesse destroyed a quality field that included Olympic and world champion Stephen Kiprotich to produce a stunning upset in the Tokyo Marathon on Sunday. Birhane Dibaba completed an Ethiopian double by winning the women’s race to underline the depth of marathon running in the East African country. Negesse boosted his hopes of being selected for this year’s world championships in Beijing with a masterful run, leaving the favourites floundering in his wake after an explosive final seven kilometres to clock a winning time of two hours and six minutes flat. The ninth running of the Tokyo Marathon marked the start of a new format comprising the world’s top six races — including Boston, London, Berlin, Chicago and New York — and offering a $1 million purse split between the men’s and women’s champions. Source — Daily Mail/EverSport video and agencies. Oh wow he is so talented! We love Stephen kiprotich. God bless him with many more medals and running successes and shoes to protect his precious feet!